Finding your stride at the right time of the year is important to ensure success moving forward. The Rowan field hockey team is doing just that. 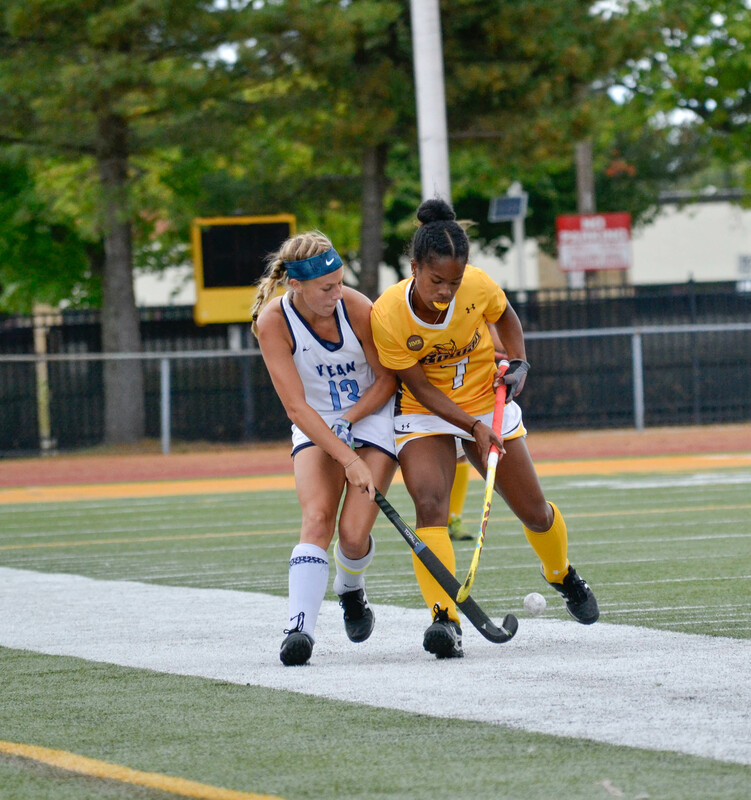 In the beginning of the year, the Profs went on a five game winning streak that was eventually snapped once New Jersey Athletic Conference play began. 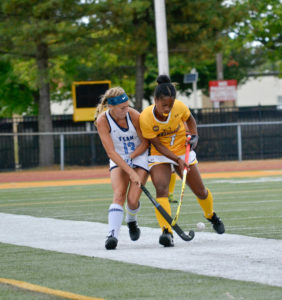 Losses to Kean University and The College of New Jersey to start off NJAC competition this season put the brown and gold in a quick 0-2 hole in the division. But, as quick as these two losses came, another streak of victories tagged along. A commanding 8-0 shutout victory against Ramapo College the first week of October started it all, as the Profs scored five goals in the first period of the game to grab their first win in the conference. Since then, they’ve won in a row including two being against NJAC opponents. Their win last week against William Paterson University ensured them a spot in the NJAC Championship Tournament. But, to head coach Michelle Andre, this isn’t just a winning streak to her. A huge factor in this year’s late-season push has been the efficiency on offense. Adjustments had been made and have been working just fine, as Rowan has outscored teams 19-3 in the last two and a half weeks. The Profs have had an odd schedule to say the least, but have done a solid job with the circumstances it has brought. Of their 18 total regular season games, they’ve only played seven at home and have won three. They’ve played all 11 away games and have secured nine wins. Another deciding factor for this year has been the stellar play of senior goalie Carly DeMarco. The brown and gold have allowed just 24 goals this season and have scored 47. They extended their winning streak to six after defeating Stevens Institute of Technology 6-1 on Wednesday night. Six different players scored a goal in the blowout victory. Rowan hosts their last game this upcoming Sunday before their NJAC Tournament schedule is announced. It’s Senior Night for the team as they will honor seniors N’Dea Irvin-Choy, captain Megan Hilbert and DeMarco.